Uber has dropped an appeal against a move which would see all its drivers in London given English language tests. The mini cab app firm said it would no longer oppose the exams after Transport for London amended its proposals, which would see the test made "more relevant to the role of a private hire driver". The appeal against English tests is separate to Uber's appeal of its licence. London Mayor Sadiq Khan welcomed Uber's decision withdraw the appeal. Mr Khan added: "I've always said that if you want to drive passengers in London you should be able to communicate in English at an appropriate level." 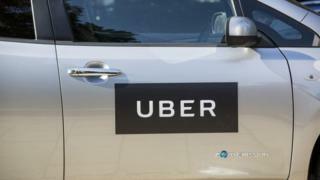 In October last year Uber launched an appeal against TfL's decision to deny it a new operating licence in the capital on the grounds of "public safety and security implications".